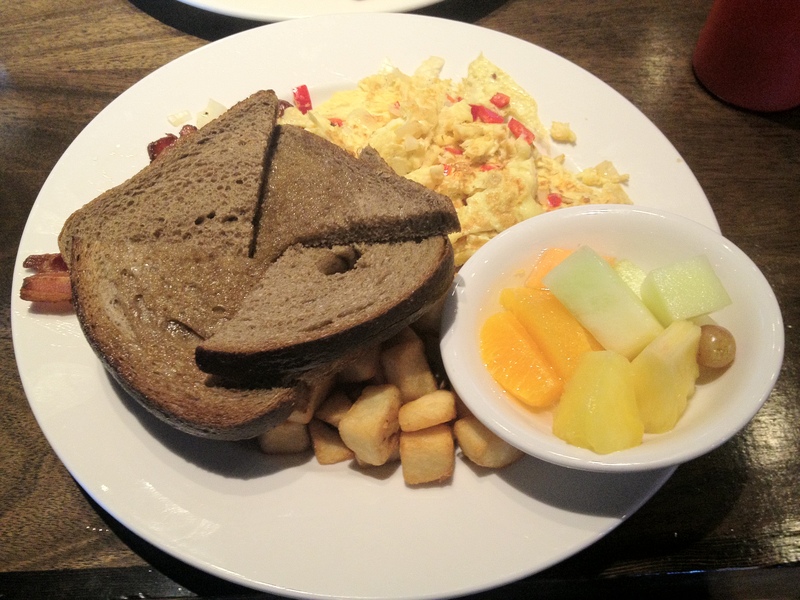 This post is long overdue but Tangent Cafe is one of my favourite breakfast/brunch spots in Vancouver. I have combined two visits to Tangent Cafe into one article so bear with me here. Most of the restaurants that I want to try are located deep into Main Street or Commercial Drive which requires a bus from Commercial Skytrain station. Jacky and I were feeling lazy so we wanted to grab brunch somewhere that is within walking distance, so we stopped at Tangent Cafe. 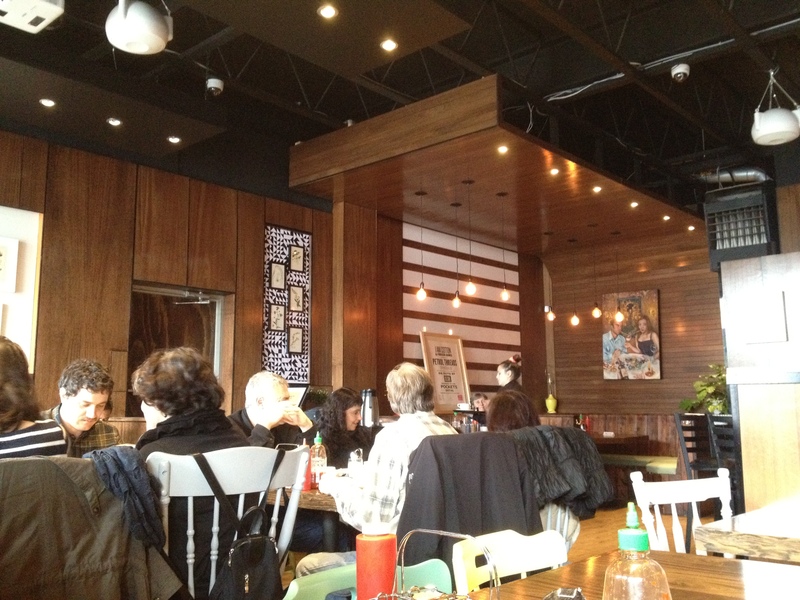 We love the indie atmosphere with the wooden walls, hanging lights, homey décor and their music. We sat in a cosy little two seater in the corner but almost right in the middle of the restaurant so we were easily seen. The servers were very nice and attentive with our orders and it didn’t take a long time for them to serve us our food. Plenty of time and space to chat and enjoy a good brunch. I had the Salmon Bennies since it was the special for the day and I wish that it was actually on their menu. I loved their generous portion of smoked salmon and their Bennies were so hearty. 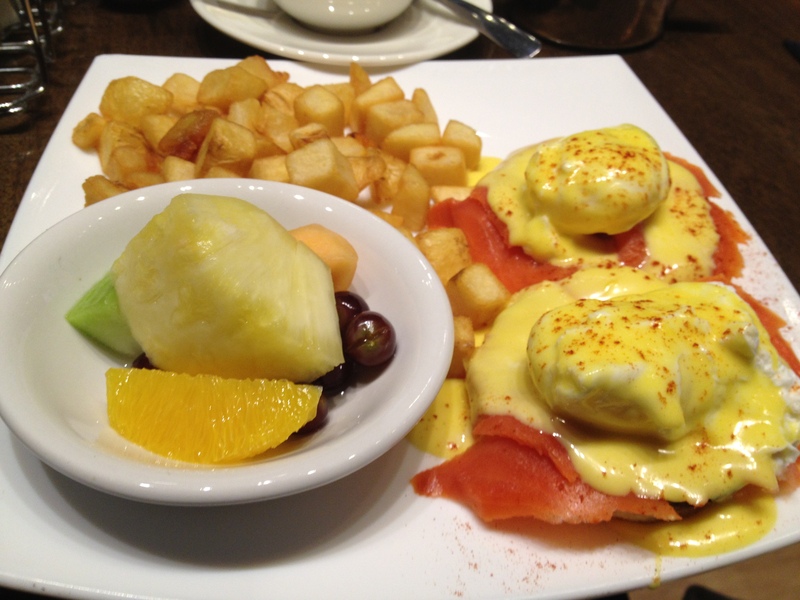 The island holding the salmon and Bennies was a piece of English muffin that was quite soaked with Hollandaise sauce. The only thing I might tell them to cut down were the hash browns – too much for me. 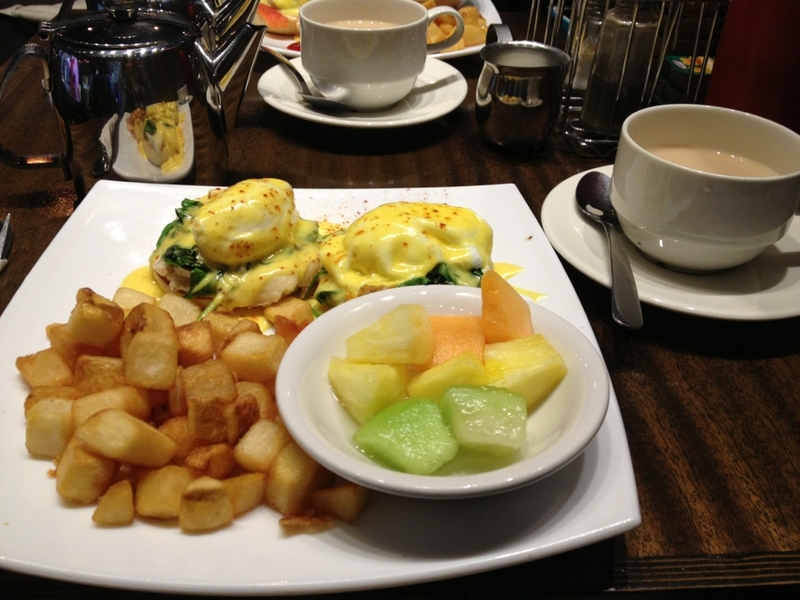 This is the Spinach and Brie (CAD12) which was delicious with the combination of Hollandaise sauce with brie, spinach and English muffin in one bite. Moving away from Bennies, we have the Chorizo Scramble (CAD11) with eggs, chorizo, green onions, peppers, cheddar and jalapeños scrambled together. I didn’t taste the hot jalapeños till after a few bites and I could barely finish it since the hotness really got to me. For those who want a spicy kick for your brunch, here it is. Jacky had the Meaty Boy’s Breakie (CAD13) since he was really hungry that day. This manly breakfast has bacon, Montreal style smoked meat, breakfast sausages, hash browns, sweet peppers and onions scrambled eggs. He devoured this to the last hash brown and he loved it. 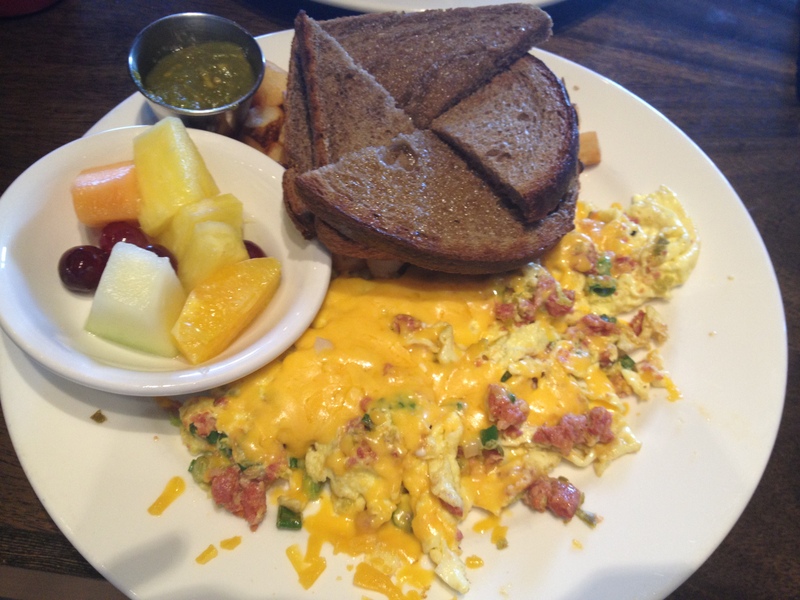 This brunch is for the hungry meat eaters.